We offer a pragmatic and cost-effective approach in providing CE Marking and product compliance assistance right from the initial concept through to the final product and offer assistance with on-going conformity requirements. It doesn’t matter if this is your first time affixing the CE mark or whether you been through the process before, our compliance solutions can help to make product compliance easy. We have an extensive range of consultancy, assessment and testing services covering most of the European Product Directives to help you CE Mark your products in the most appropriate and cost-effective way. 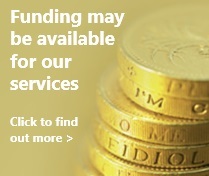 Call us on 01564 792349 to find the best solution for you! 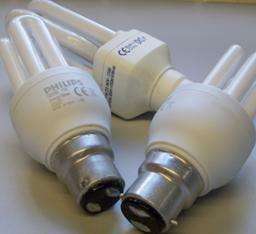 Our experienced engineers can assess and test your product, in accordance to the applicable harmonised standards. If you don’t have the time or resources to assess the product yourself, our full turn-key solution may be the perfect stress-relieving option for you! Let us guide you through the process, with help and advice on all aspects of product legislation, providing as much or, as little help as required. 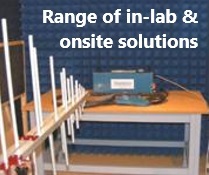 Our testing and assessment engineers are highly experienced in helping manufacturers get their products compliant. At our EMC and Electrical Safety Testing facilities, all tests are undertaken in accordance with the applicable harmonised standards. If your product demonstrates any non-conformity, we have the facilities, resources and expertise to help you find a simple or cost-effective solution. Full management of your Product Compliance process from the initial design stage through to product launch. You can involve us from the outset, ensuring that compliance is designed in right from the start to help ensure that you have no nasty surprises when it comes to testing your product. If you have already designed and manufactured your prototype, or your product is already being produced, we can take it off your hands and assess it against the applicable harmonised standards, and assist you with rectifying any non-conformities that may arise. Even if you have been manufacturing your product for some time, but your CE marking needs some updating, we can identify where the gaps are to ensure that you are kept up to date with current requirements and legislation. We will hold your hand and guide you through the process! If you only require assistance with one or two aspects of CE marking we will give you as much or as little help as you need. We provide unbiased and accurate information about CE marking, current product legislation, Directives, and guidance on how to fulfil your legal obligations, without overwhelming you with legal jargon and unnecessary technical gobbledygook. It’s not always easy to know where to begin, as even identifying the right Directives that apply to your products can lead many people to fall at the first hurdle. We can tell you which Directives you need to meet, and why, and how. Some (but not all) Directives require you to perform a risk assessment. We can undertake a ‘product focused’ risk assessment of your product, or show you how. There are thousands of standards that can be used to help you assess the safety of your product, but finding the right one can be a challenge. More often than not there won’t be a standard that wholly applies to your product, particularly if it is new, innovative, or unique in some way so it is important to find the right standards to use. We can help identify the right standards, or parts of standards, right from the outset. We have excellent EMC and Electrical Safety Testing facilities to test your products to ensure they meet the applicable harmonised standards. All tests are undertaken in accordance with the applicable harmonised standards (See below for further details). We can also perform many types of mechanical testing and assessment such as, load, impact, humidity, endurance, etc. Please contact us for further details. 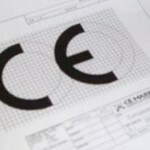 A major part of the CE marking process is demonstrating how your product meets the requirements of the Directives, and how you have determined that your product is safe. All of this evidence needs to be held in a Technical (Construction) File, which needs to contain a sufficient level of detail and be suitably comprehensive. We can help you compile your Technical File and Technical Documentation, or audit the file that you have generated. The Declaration of Conformity is a legal requirement and is a critical stage of completing the process, so it’s very important to get it right! It is also the information that you will be providing to your customers to demonstrate that your product meets all of the relevant conformity requirements, so it is very important that the information it contains is accurate, adequate, and up-to-date. We can, show you how to perform your own tests and assessments; help you understand the conformity process; help you identify the right Directives, Regulations and standards; help you compile your own Technical Documentation; and, show you how to keep your company up-to-date with new legislation.